Going off topic for this post, but it is well worth it. Every spring for the past 9 years I have joined my friends from work to donate a "day of caring" for Pegasus Farm in Hartville, Ohio. 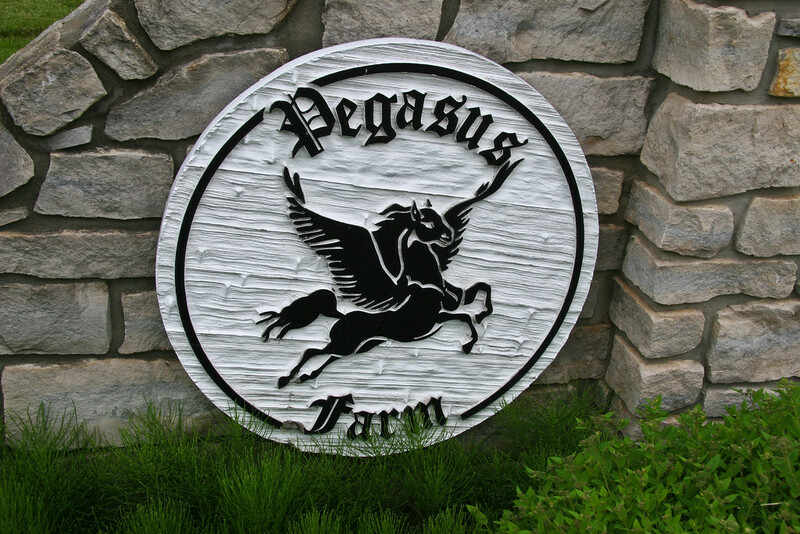 The mission of Pegasus Farm is to "maximize the potential of persons with disabilities to become independent, well-rounded, self-confident individuals by providing equine activities along with recreational, social and vocational support". It serves about 800 individuals with disabilities annually. 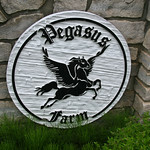 Pegasus Farm has been a premier therapeutic riding center in Northeast Ohio since 1985. Research shows that horseback riding has exceptional physical and psychological benefits which enable riders with disabilities to achieve control and mobility they may not otherwise experience. 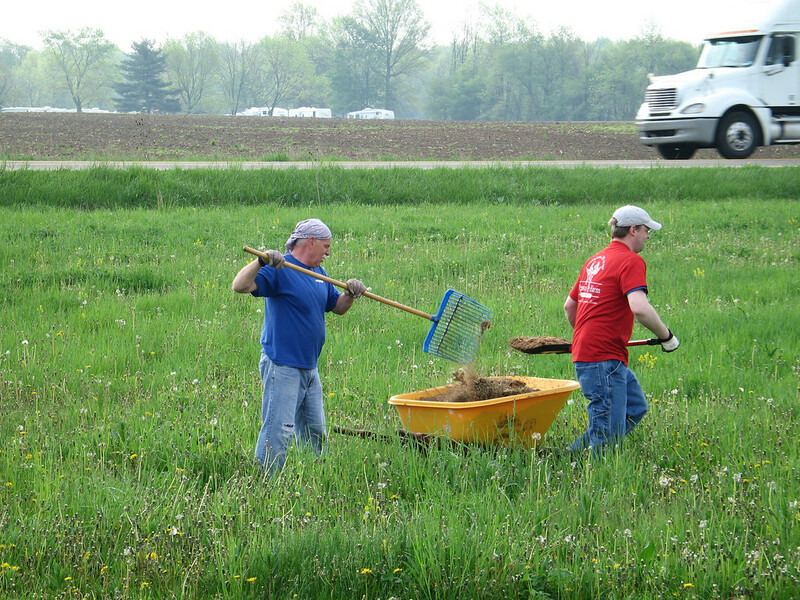 Every year we take up arms against weeds, peeling paint, dirty horse stalls and barns, and over grown trees and shrubs along the riding paths. 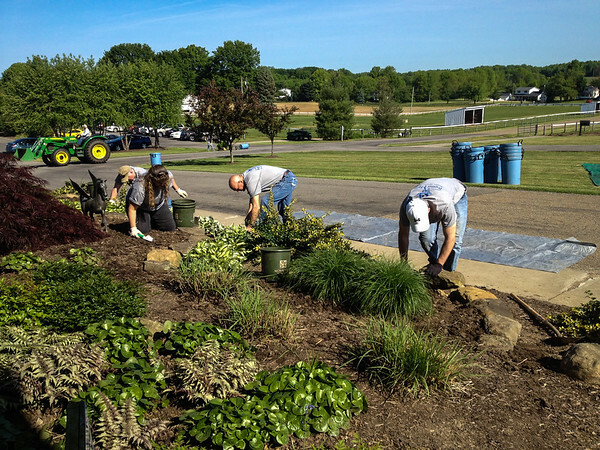 Another team mulches the gardens and sometimes there is a repair or two. 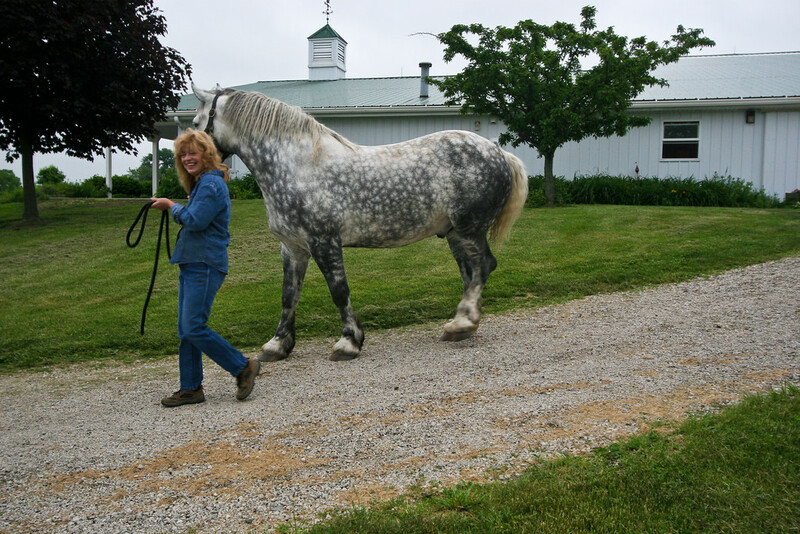 You can imagine how much work there is to be done around a farm where horses are stabled and fed, added to that the schedule of helping all of the children and adults that make use of the facility. 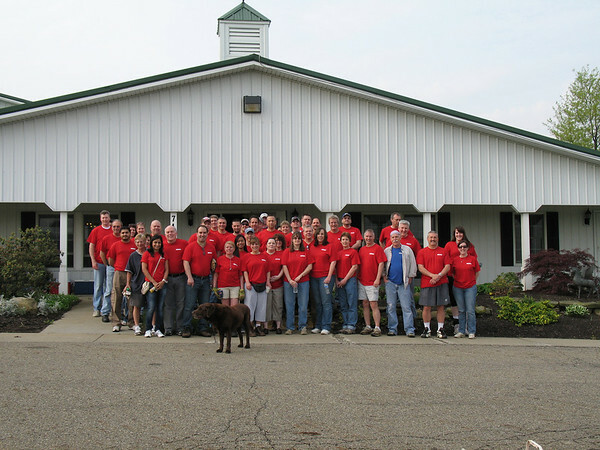 "With the help of some very special horses and dedicated volunteers and staff, Pegasus Farm program participants become well-rounded, self-confident individuals." If you have never volunteered a day of your time to help someone or group of people you should consider it. Nothing like helping out those people who are truly in need.